Welcome to Napkin Folding Guide. 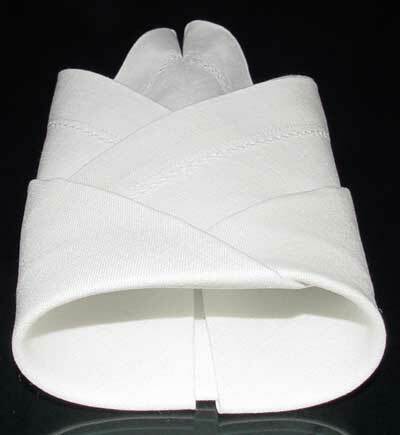 Here’s the refined Rosebud Napkin Fold. 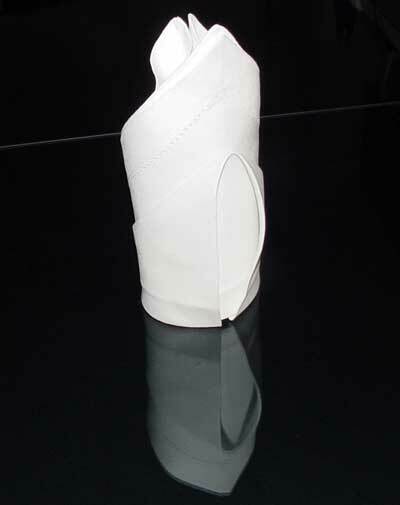 This is a polished fold that would benefit from stiff material of a light starch. This fold makes an appealing display for your dinner table. 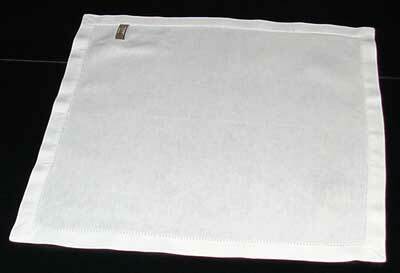 This sophisticated cloth napkin design benefits from stiff material or light starch. A hot iron will also make it easier to be exact. 3. Orient the napkin so the open end points away from you. 4. Fold the far-right corner up diagonally so that the point rests on top of the far corner. The edge of this new flap should lay right on the center line. 5. Repeat step four on the other side, bringing the left-most corner up to meet the far corner, creating a diamond shape. 6. Flip the napkin over while keeping the open end pointing away from you. 7. Fold the bottom of the napkin up about 3/4’s of the way as shown and press the fold down well. 8. Flip the napkin over. 9. Curl both sites up so they meet in the middle and tuck one into the other. 10. Stand it up and straighten it out. If you have trouble keeping the points even, break out the iron and back track to the folds that mess up your alignment. Is it me or do these look like Egyptian headgear?